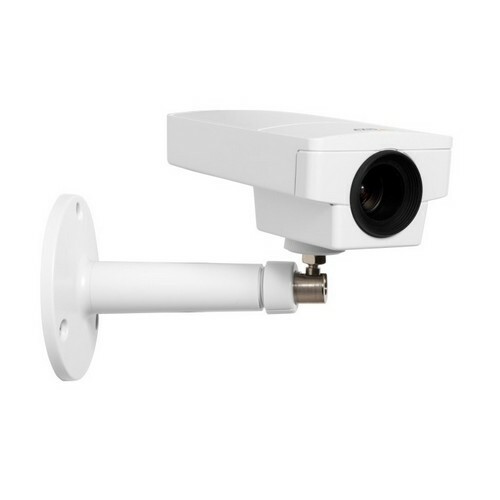 AXIS M1145 offers a professional and affordable fixed camera suitable for a wide range of video surveillance applications, such as for retail and banking as well as libraries and other office buildings. It can be used indoors, as well as in an outdoor housing. AXIS M1145 with board-mount, varifocal, P-iris lens provides excellent image quality at 30 frames per second in 2 megapixel / HDTV resolution. The P-iris control provides optimal depth of field, resolution, image contrast and clarity. The cost-effective, compactly designed camera offers multiple H.264 and Motion JPEG streams that can be individually optimized for bandwidth and storage efficiency. The camera supports digital pan/tilt/zoom, which allows a view cropped from the full view to be streamed for viewing or recording. AXIS M1145 offers support for edge storage that allows recording video directly to a storage such as an microSD/SD/SDHC card, thereby creating a flexible and reliable video surveillance system. Power over Ethernet supplies power to the camera via the network, eliminating the need for power cables and reducing installation costs. AXIS M1145 also offers remote zoom and focus that eliminates the need for hands-on fine tuning and ensures that the camera?s angle of view is optimized for the area to be monitored. Field of view (FOV) angle: 112?